Artificial Intelligence (AI) has emerged as one of the most disruptive forces behind the digital transformation of business. Our mission is to bring AI to every developer and every organization on the planet, and help businesses augment human ingenuity in unique and differentiated ways. Developers and data scientists are at the heart of driving this innovation force and we are committed to providing them the best tools to make them successful. These include tools for automating machine learning through the pre-built AI capabilities we offer for vision, speech, language, knowledge and search in Microsoft Cognitive Services. In November, at Microsoft Connect () 2017, I announced expanding AI tools and resources for developers and data scientists on Azure and described how the Microsoft AI platform enables a rich variety of application scenarios. Last month we also announced the general availability of our conversational AI tools with customers such as Molson Coors, UPS, and Equadex. We are continuing innovation at a great pace in making AI easy by bringing capabilities such as Transfer learning and automated machine learning to developers. 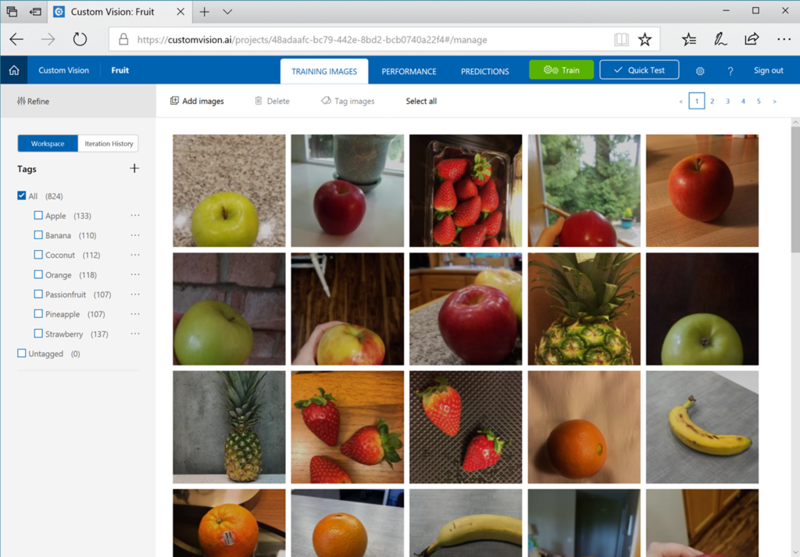 Today I’d like to focus on the Microsoft Custom Vision Service which makes it possible for you to easily train a classifier with your own data, export the models and embed these custom classifiers directly in your applications, and run it offline in real time on iOS, Android and many other edge devices. 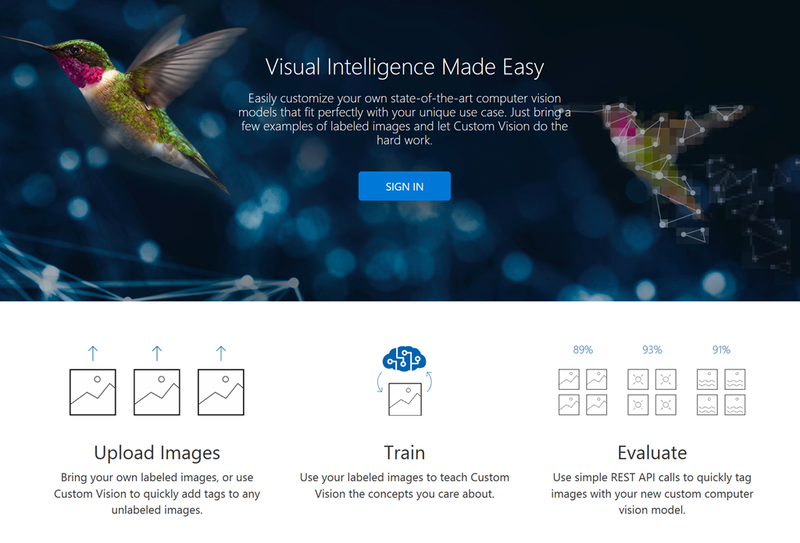 Custom Vision Service (Figure 1) is a cloud enabled tool for easily training, deploying, and improving your custom image classifiers. With just a handful of images per category, developers can train their own image classifier in minutes through a simple drag and drop interface (Figure 2). 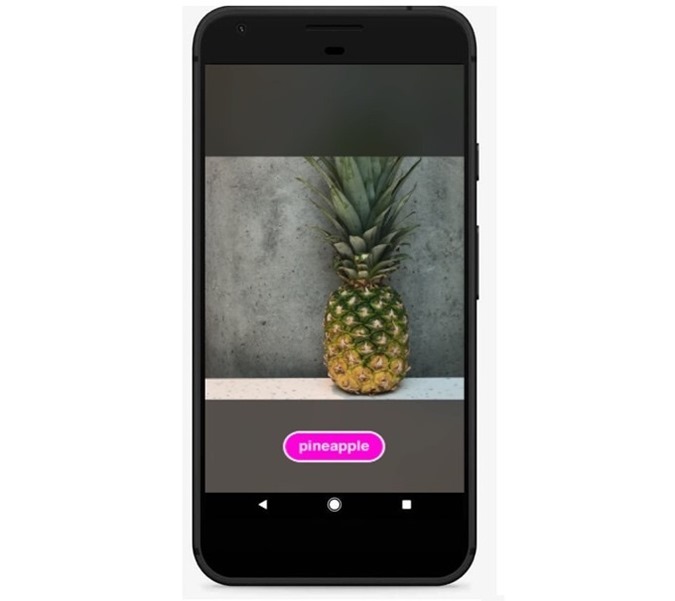 To enable developers to build for the intelligent edge, Custom Vision Service from Microsoft Cognitive Services has added mobile model export. 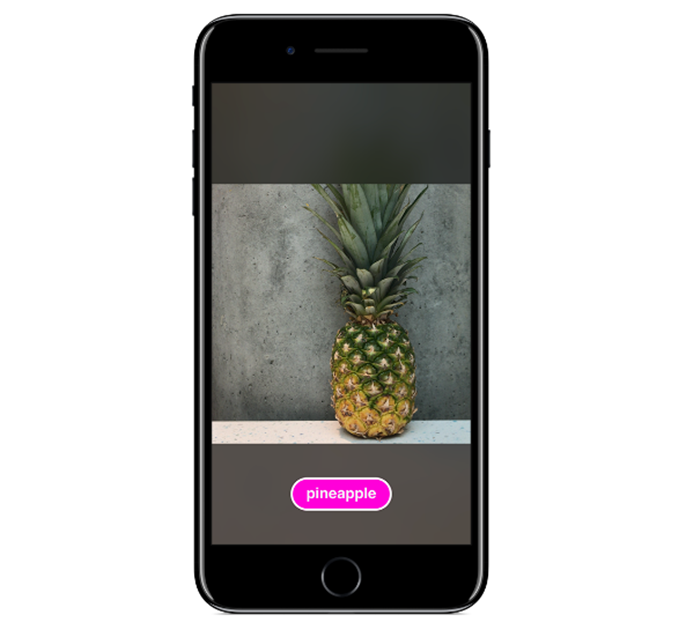 Today, in addition to hosting your classifiers at a REST endpoint, you can now export models to run offline, starting with export to the CoreML format for iOS 11 and to the TensorFlow format for Android. Export will allow you to embed your classifier directly in your application and run it locally on a device. The models you export are optimized for the constraints of a mobile device, so you can classify on device in real time. Once you have created and trained your custom vision model through the service, it's a matter of a few clicks to get your model exported from the service. This allows developers a quick way to take their custom model with them to any environment whether their scenario requires that the model run on-premises, in the cloud, or on mobile and edge devices (Figure 3). This provides the most flexible and easy way for developers to export and embed custom vision models in minutes with “zero” coding. Custom Vision Service is designed to build quality classifiers with very small training datasets, helping you build a classifier that is robust to differences in the items you are trying to recognize and that ignores the things you are not interested in. Now, you can easily add real time image classification to your mobile applications. Creating, updating, and exporting a compact model takes only minutes, making it easy to build and iteratively improve your application. More export formats and supported devices are coming in the near future. To learn and start building your own image classifier, visit www.customvision.ai and our documentation pages. I also invite you to visit www.azure.com/ai to learn more about how Artificial Intelligence can augment and empower your digital transformation efforts. We’ve also launched the AI School to help developers get up to speed with AI technologies and enabling them to start building intelligence into your solutions.